English is the language of the academe and of business around the world. Thus, there is an increasing demand for online English tutors nowadays. 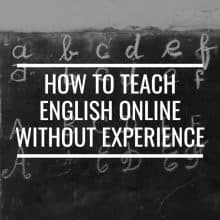 In today’s article, you’ll learn how to teach English online without experience. Making money online is rarely an easy experience, but when you find the right niche and the right way to monetize your website, you can earn a steady income. Teaching English online is one of the rapidly growing fields you can get into and make a decent amount of money while allowing you to work whenever you want, wherever you want. In today’s article, I’ll discuss in detail how to teach English online without experience; from how to start, to what tools and resources you need, and what additional income opportunities are open to you. There are 3 main ways that you can teach English online. One, you can apply to different online schools for a job as an instructor. Two, you can post your profile and advertise your services as an English teacher on freelancing websites. Three, you can offer your teaching services right on your website. You can get started teaching English online by getting in touch with online schools, such as VIPKID, Magic Ears, or SayABC and applying to be an instructor. Looking for online schools to apply to can be tedious and time-consuming, but when you do manage to get accepted, you can get started and get paid almost immediately. An advantage of working with an online school is that they’re likely to already have students; you won’t need to recruit them. Plus, they’re also likely to already have a curriculum and lessons that you only need to study to be able to teach it to your students. Thus, if you’re only beginning to explore this field, being an online teacher for a school is a great way to start. Can you do it without experience? It depends. Some online schools are strict about hiring only graduates of four-year courses. These are normally schools with students who are also four-year graduates and sometimes even business school who aren’t very good in English. Otherwise, online schools are normally looking for native English speakers who can carry a conversation and teach the basics of English. Students of this school can be younger ones who aren’t very good at speaking English. Another way you can get started teaching is to post your profile on freelancing websites such as Fiverr, Upwork, Freelancer.com, or PeoplePerHour. You can post your profile and qualifications, while stating who your target students are. An advantage of posting your profile through a freelancing website is that those who contact you are ones who are genuinely interested in getting your services. However, freelance marketplaces tend to be very competitive, and unless you have an edge, it may be difficult to get regular students. Having teaching experience certainly helps your profile be attractive to prospective students looking for English tutors, but you don’t absolutely need to have experience to post your profile. It gives you the flexibility to set your own working hours. One of the rules that you normally have to abide by when working for an online school is that you need to be online when their students are online, and so you have to work at certain hours depending on where their students are based. If your school’s students are based on the other side of the globe, you’ll be oftentimes asked to be online at night or very early morning. 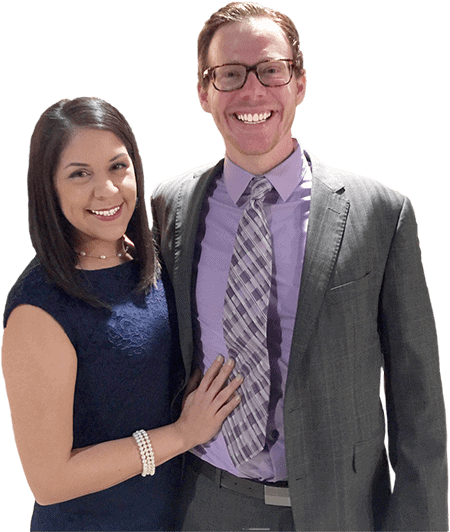 When you offer your teaching services, you get to decide which students you want to teach, and in effect, what times as well as what days you want to be available and even how long a single lesson would be. Because you have more control over your time, you can focus more on working on your teaching modules and providing value to your students instead of fixating on being online at certain times of day. It allows you to set your own rates. When you sign up on a freelance website, they oftentimes charge you a fee for using their platform or else get a percentage of your fees from students. Similarly, if you’re hired by an online school, they of course get their students’ payment, pay your salary out of that payment, and keep the rest for their other overhead costs and their own profits. You can do away with those percentages being subtracted from your income when you’re handling the business. You can also set up your own teaching packages and give out discounts for students who will get multiple sessions. It gives you greater control over your business. When you own your business, you get to decide everything. What to teach, how you’re going to teach it, who you teach, how much you earn from teaching: these are just some of the aspects that you have full control over. You can do it without prior experience. It can be both exhilarating and scary to think that you can offer to teach English even without prior experience. Think of this venture as your own school; learn everything you can about teaching English, maintaining a website, and running your own business. The next step after deciding to teach English online from your website is to put together the requirements you’ll need to be able to run your teaching business smoothly. Many of your business decisions will depend on your target audience, so it’s very important that you create a profile of who you want to teach before you start. Start with the demographics, such as their age, gender, income, marital status, occupation/industry, and educational level. Also include where your target audience would be located or based. Another important aspect of your target audience is their motivation. What do they like? What do they do for fun? What are their hobbies? The website where you offer your services also needs to be set up at an early stage to give it time to gain traction. There are plenty of hosting services, but we would recommend Bluehost (affiliate link) and I would recommend nothing less than WordPress as your content management system. 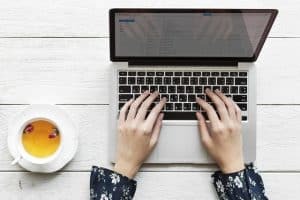 Obviously, you’ll need to have a desktop or laptop computer with the ability to connect to a high-speed internet connection so that you can contact your students. 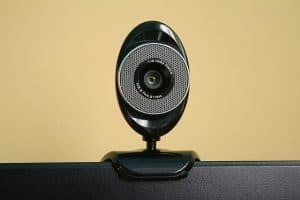 You’ll also need a good-quality webcam (the built-in webcams of laptops are rarely good enough to use in your business) as well as a high-quality headset with microphone. Your students need to be able to see and hear you clearly to be able to understand your lessons perfectly. There should also be a place in your home that’s quiet, both visually and acoustically. Look for a corner in your house with minimal background or where you can set up a tapestry or plain cloth background. You also want the corner to be quiet, where there are minimal street noises, ambient noises, or sounds from your neighbors. You also need to set up a lighting system for your corner for shooting so that your students can see you clearly. Of course, you’ll need the software to communicate with your students, whether it’s video or audio communication. The usual software that English tutors use is Skype, but you can certainly use other software such as Google Hangouts, Zoom, or GoToMeeting. The ideal communication software is one that is simple enough that your students can easily use it, but at the same time has powerful features that allow you to teach your students without any quality and privacy issues. Learning aids are tools that will help you teach English to your students. If your students are younger children, they might like hand or finger puppets, colorful costumes and props, and bright flashcards. For older students, you can design presentation slides and even use a whiteboard to write down words, their meanings, and example sentences. They’ll also benefit from doing homework, which you can set up using cloud-based sheets and documents. You’ll also have to set up a way to accept payment from your students. Some of the popular payment gateways are PayPal Payments Standard, Authorize.Net, Stripe, and 2Checkout. What you want is a payment gateway that will take care of both your students’ information as well as your own. You’ll also want to have a record of all transactions and excellent customer service in case something goes wrong with a payment. Also, you want a service that transfers the payment to your bank account as quick and hassle-free as possible. You also want to pay the lowest fees you possibly can without compromising on security and the quality of service. Disclaimer: I’m NOT a lawyer, and I’m NOT affiliated in any way, shape, or form with any legal office or entity. For sound legal advice, always consult a lawyer. If you want a legal, legitimate business, you’ll have to work on the legal side of things, though you may not like it. Register with the IRS (or its equivalent in your country) so you can start paying taxes. Keep all receipts and invoices related to your business so that you’re not scrambling to get this together at tax season. 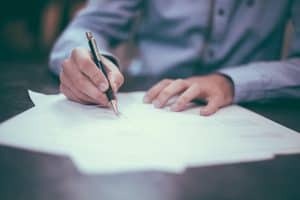 Another important legal document is the contract that you’ll have your students (or their parents/guardians if the student is a minor) agree to and sign. 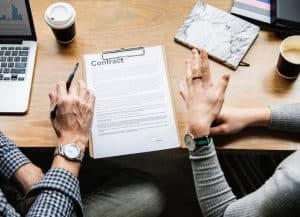 Make sure that everything is clear: how much they need to pay, how many sessions they’re going to get, how long they’re valid for, and any other terms and conditions that are relevant to your business. Even cancelations and refunds need to have solid terms and conditions defined to avoid any misunderstandings and even lawsuits in the future. It’s one of the most difficult things to decide on when running a service-based business, but you need to be able to decide on the prices of your tutorial sessions and packages. If you’re a bit lost on how to set a price on your tutorial services, you can start with the minimum hourly wage in your area, and then adjust it depending on your expertise, educational credentials, how much time you’re normally going to spend, as well as the time you’re going to be online. Aside from having your base hourly rate, you should consider offering packages of a few sessions for a discounted price. This attracts students and makes things easier for you in that you can plan for sessions in advance and anticipate how much income will be coming in at a certain period. An important part of your business strategy is your marketing plan; that is, how you would advertise your English tutorial services and how you’re going to get students to enroll. You can go into the usual digital marketing methods of social media and email marketing, and you can also go into guest blogging and sponsored posts. 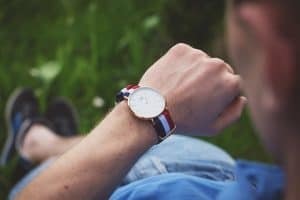 This early, you can already consider additional sources of income that can augment the income that you’re going to earn from teaching English. Not only can you get additional income from these methods but you can also use these as promotional materials for your English tutorial business. Here are some examples of supplemental income sources that you can go into. 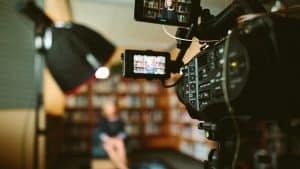 Video ecourses are like one-sided tutorial sessions that you can create and then sell as they are in their existing form. The lessons aren’t going to be held live and tailor-made for your students, but you can design the courses such that students on the same level can all consume the ecourse. You can create a beginner course, an intermediate course, and an advanced course. You can also group it by the type of English one wants to learn: conversational, academic, or business English. If you want to know more about creating an ecourse, you can read our article on how to create an ecourse. Writing and publishing an eBook to teach English can be another alternative source of income, which at the same time can be a promotional tool for your English tutorial services. It’s a steady source of potential side income that requires less effort to produce than a video ecourse. We’ve outlined a self-publishing checklist with a printable PDF. Reviewing students’ English essays and homework is another service you can offer on your website. You don’t even have to limit yourself to students wanting to learn English as a second language; you can offer your services to anyone studying English, native speaker or not. Other bloggers or companies may have educational materials and courses that can earn you a commission if you promote them. You have to keep in mind, though, that being an affiliate involves producing plenty of content on your website aside from doing your actual tutorial sessions. 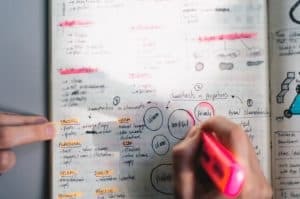 Here is a beginner’s guide to affiliate marketing basics that you can follow if you have no idea where to get started. While not for everyone, teaching English online can be a lucrative and rewarding career. Any native English speaker with the necessary skills can start this and succeed. Teaching English online not only allows you to earn money but also opens up other opportunities for you in various fields such as education, marketing, and copywriting. 1. Decide how you’re going to offer your services. 2. Gather all the resources and tools you need. 4. Consider additional sources of income. Here are a few more tips when starting your teaching business. Take your students’ privacy seriously. You probably know enough to take care of your students’ email address, credit card details, and other personal data, but I’m not just talking about personal and financial information. 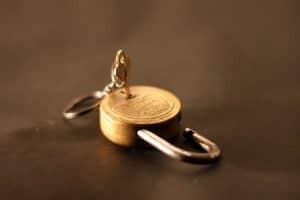 It doesn’t seem like much, but you probably take for granted that your students sometimes talk about their private lives, from the inane stuff like what they had for breakfast that morning to the major stuff like the fact that it’s tense in their house because their parents are getting divorced. 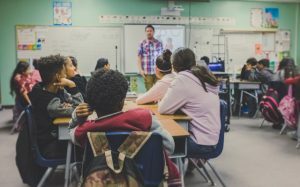 It’s tempting to talk to other people about what you’re experiencing firsthand with your students, but while for you it’s only a few minutes of blowing off steam, for them it’s their life story being dissected and used as entertainment by strangers. Don’t be that person. Respect your students and their right to privacy. If you decide to run your English teaching business from your own website, you’ll have your hands full with maintaining the website, creating content, and holding your lessons. You’ll benefit from using a variety of scheduling and productivity tools to make space in your workday for everything you need to do.